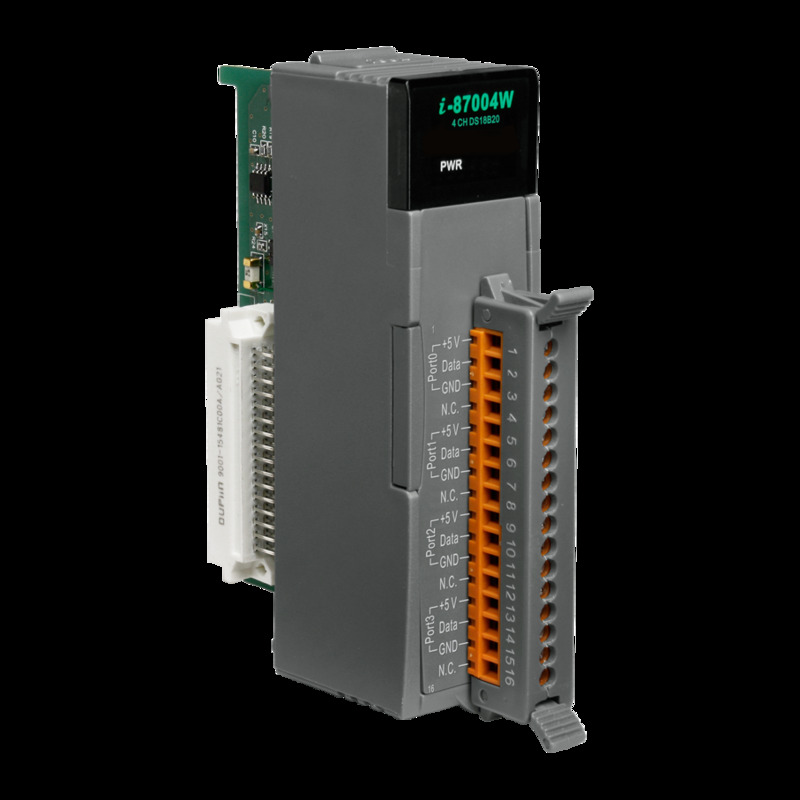 ICP DAS USA’s I-87004W is a digital temperature sensor module that is equipped with four ports for 2- or 3 wire DS8B20 digital temperature sensor input. The DS18B20 temperature sensor has a high accuracy of ±0.5°C when measuring temperatures between -10 and + 85°C, with a total measurement range of between -55 and +125°C. 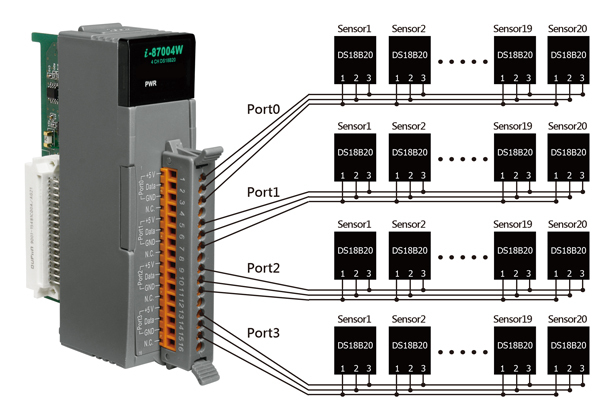 The I-87004W can be daisy-chained with a maximum wiring distance of 100 meters by connecting up to 20 DS18B20 sensors on each port. 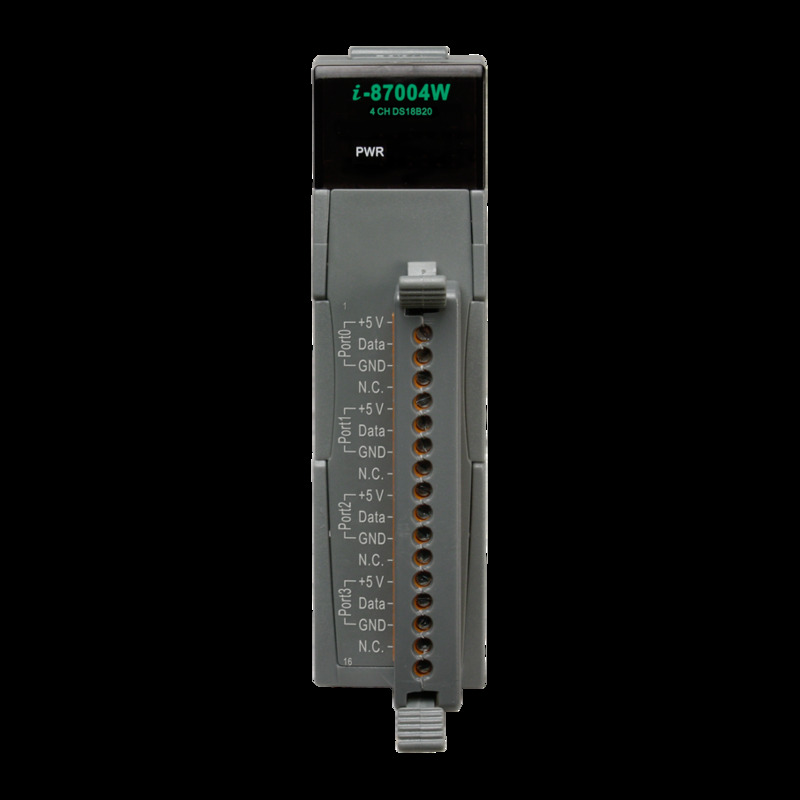 The I-87004W module is fully RoHS compliant, and features 4 kV ESD protection as well as 3000 VDC intra-module isolation. 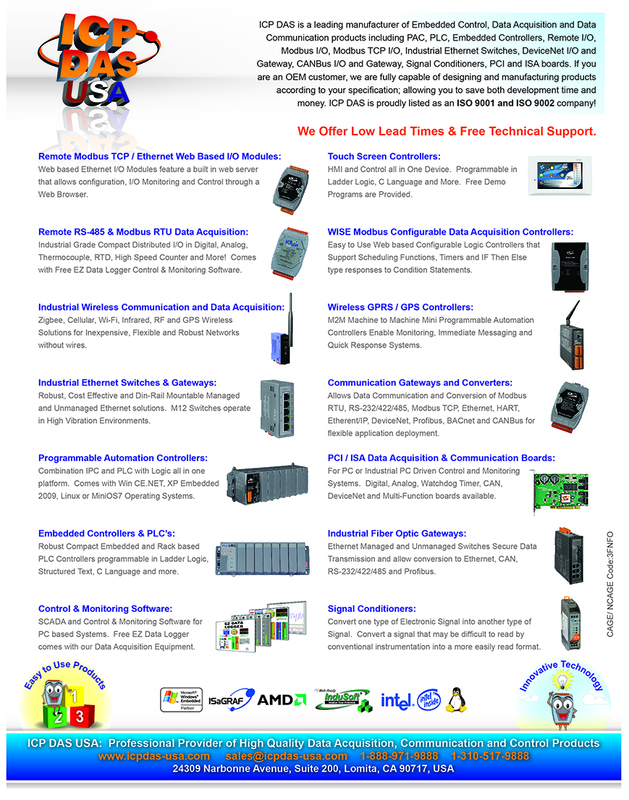 Customers who bought a I-87004W also purchased the following items.